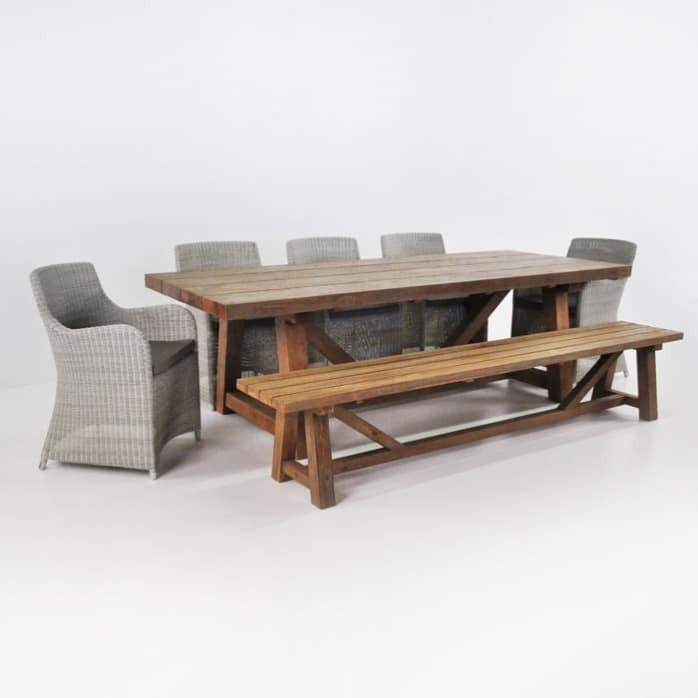 A combination of the old and the new intertwine brilliantly with the 2.5m Trestle Table, 2.4m Trestle Bench and 5 Moni Chairs. 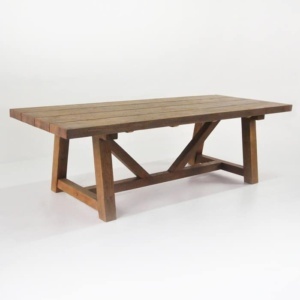 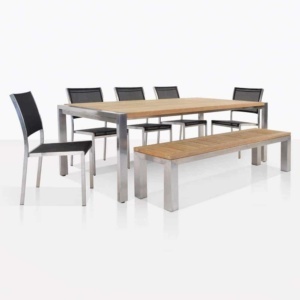 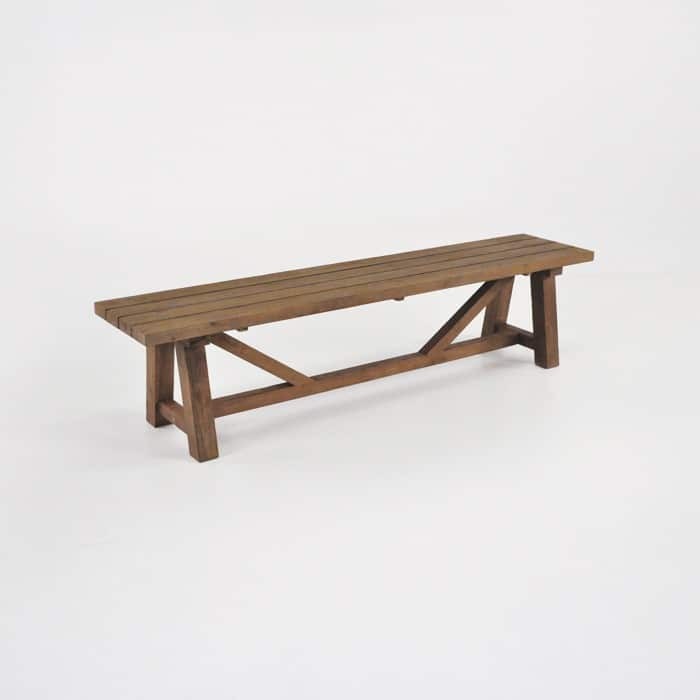 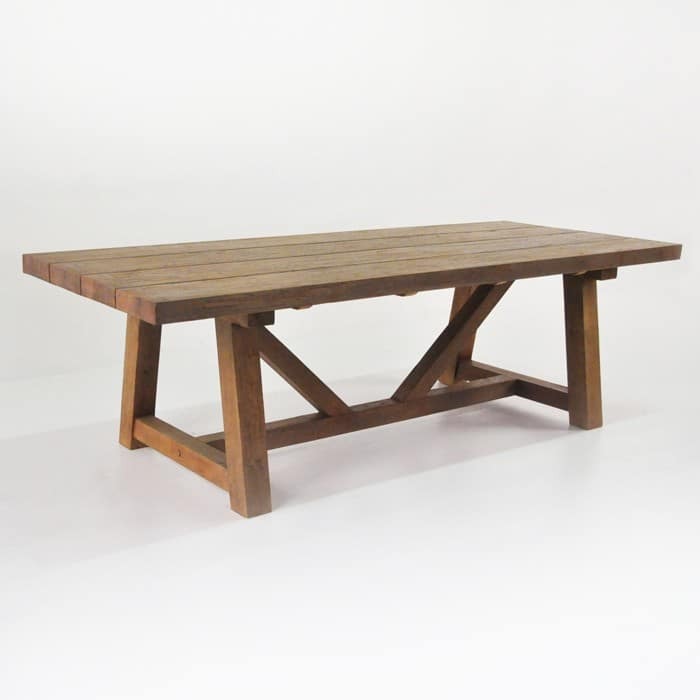 Our Trestle Table and Bench are made out of recycled teak, each taking on its own beautiful character with the different pieces of teak stained with a warm, walnut finish. 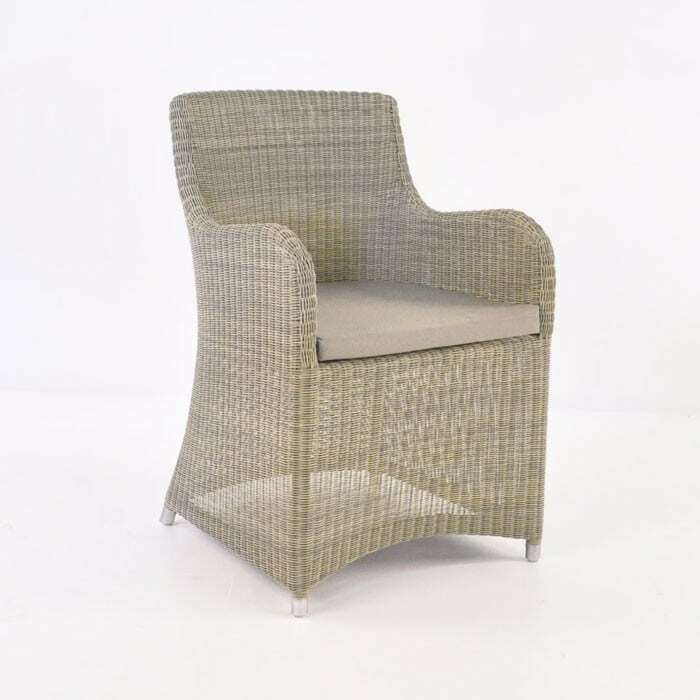 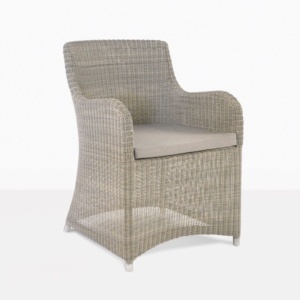 Contrasting stunningly against these dramatic pieces are the elegant Moni Chairs made out of Viro® fibre, shown in Whitewash but also available Sand and Antique Java. All pieces are sold separately.